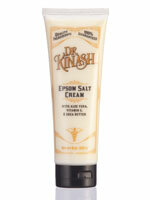 Dr. Kinash™ Epsom Salt Cream, 8 oz. Dr. Kinash™ Beeswax & Honey Foot Balm, 4 oz. 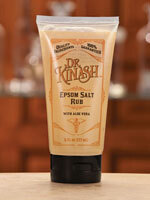 Dr. Kinash™ Epsom Salt Rub, 6 oz. 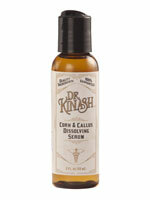 Dr. Kinash™ Corn & Callus Dissolving Serum, 2 oz. Dr. Kinash™ Intensive Foot Formula, 4 oz.